I have known Judy Bin-Nun for 7 years. Judy helped to expertly organize and facilitate teams of Pet Partners for an exceptionally special ongoing program at The Slavin Family Library of the BJE for children of various ages in the library, entitled READ (Reading Education Assistance Dogs.) Judy and her special dogs, Raizel, Shepzel and Ketzel would come and work their special magic with the kids who came for the program and other library program attendees. Additionally, Judy recruited top notch dog team owners and dogs for the other teams and helped make sure to communicate with them and coordinate all the dates for the program with her teams. She was patient with each child and believes that a child who loves to read should be encouraged to read out loud as much as the child who is afraid to read or is struggling with their reading and comprehension skills. Judy also made sure to teach children and families how to be gentle around dogs and to treat the pets with love and care too. She made each child feel special by taking pictures and spending quality one on one time with they and the dog, and she also gave out special bookmarks with the dogs’ pictures on them to each child who came to read. It really made the experience special for the children who participated. I recommend Judy’s pet partners programs for libraries and school and know that she is truly dedicated to this cause. I had the pleasure of seeing the impact of Dr. Bin-Nun’s work bringing dogs to the BJE’s children’s library to provide “reading buddies” for the children in attendance. This use of therapy dogs to enhance literacy was one of the most popular and successful ongoing activities at our library. We are grateful to Judy for all of her skillful work to make this possible. Judy’s therapy dogs are the best I have ever known. I have been Judy’s dog groomer since 2003 and watched them develop into well trained therapy dogs. Judy’s kindness and ability to work with people though her pets is evident to anyone who interacts with her and her pets. Seldom is a puppy prepared for the Canine Good Citizen evaluation by the time they are 1-year-old. Each of Judy’s 3 Brussels Griffons are the exception due to her steadfast benevolent leadership. After working with her first dog to Animal Assisted Therapy status, I knew when she got her next puppy she would accomplish the same in a similar time frame. By the time her 3rd pup, Shepzel came into the picture there was no question another therapy team was born. The love and comfort Judy and her 3 furry ones provide to patients is immeasurable. Since they have only known love, that’s all they know to give to others. If I were ill this is the team I would want at my bedside! Judy is an amazing, creative artist and a remarkable therapist. Her own artistic journey compliments her professional work with children. She connects with her clients and her friends in ways that help us all create more authentic and thoughtful lives. I have known Dr. Judy for 17 years now, and I can honestly say she is one of the most wonderful people I have ever met. Our relationship started on a professional level and has progressed to a personal level, and I feel honored to have her in my life. I use the word brilliant to describe Judy, because she is in so many ways. Not only is she incredibly smart, she also has a level of wisdom that few people possess. The manner in which she treats her clients and her friends is nothing short of amazing. Over and above that, she has this creative side that continues to blow me away. All that is wrapped up in a heart of gold. I would (and do!) recommend Judy very highly. I truly believe she is the best of the best! I have known Judy both personally and professionally for nearly forty years. A more talented, compassionate clinician simply does not exist! Her creative mind offers a myriad of therapeutic tools ranging from cooking therapy to art therapy to her pet therapy at UCLA with three very special canine companions. I have referred couples to Judy for counseling,who have always come away with high praises for her, in addition to a much improved relationship. . Her rich background of personal experience, keen insight and sensitivity to individual needs makes her an ideal therapist for adults and children alike. I never hesitate in making a referral to Judy, for I know her clients will be well cared for, listened to intently and helped immensely to make better life choices more often. They will also find their lives to be enriched by her counseling techniques and perspective. To know Judy is to be surrounded with feelings of hope, constructive improvement and a joie de vie. Judy and I are neighbors, and I’ve known her for over 2 decades. During that time, I have referred countless patients to her, and all have said the same thing – that she’s amazing. Personally, I’ve found her to be compassionate, incredibly insightful, and fun to be around! Judy’s integrity as a human being, and expertise in psychotherapy and child development enable her to achieve excellent results when providing interventions for her patients of all ages. Judy has a unique ability to achieve a therapeutic and healing relationship with children and adults, while quickly assessing where and how to inspire their individual growth. She uses consistent love, humor and empathy, wasting no time, and leaving no stone unturned, pulling any idea out of her large tool chest — be it art, play or talk therapy. Judy’s warmth, talent and vivacious personality make her a good match for so many people who are seeking therapy for any life issue, small or large. I have had the pleasure of working with Judy for many years. She brings clarity, warmth and personal integrity to her work with children, parents and families. She understands the relative importance of addressing both the psychological, social and educational needs of children and adolescents. She is able to engage children actively and clearly in understanding themselves. She is readily available and collaborates with many other professionals to serve the needs of her clients. I have known Judy for over 50 years, both in school and professionally. She is a highly intelligent, committed, and effective psychotherapist, and I highly recommend her. I have know Judy for many years. She is very passionate to whatever she becomes involved with and is committed to helping others, that’s why I recommend her. 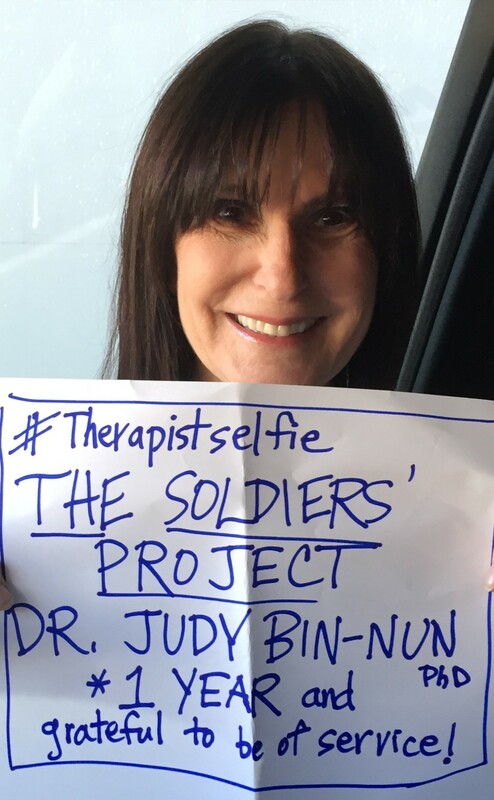 Judy is the most creative person I know…and a spectacular therapist. I highly recommend her! Judy has the rare ability to understand and relate to children and the brilliance to bring out their strengths and solutions they need. Both in education and psychology, Judy is both an “artist and a scientist”, using her natural creativity and intelligence way beyond the norm. Not only with my children, but so many others Judy has made a difference. Judy was an amazing director at Emanuel Community Day School where I worked for 4 years as a teacher. She was always very professional and motivated us as teachers to provide the best education and most wonderful team teaching experience for the children. With Judy’s guidance, we were able to fulfill her vision of surrounding the children with integration of general and Judaic studies throughout the school day. Judy’s programming was always creative while also providing the students with their core academics. The feel of the school was always warm and loving and Judy was especially wonderful at facilitating open discussion between parents, teachers and students. As teachers, we were encouraged to further our own development and training. Thank you to Judy for my best years of teaching. You’re the greatest!